Customer satisfaction survey forms have a thing of their own. They need to be really precise and at the same time, very taut so that the customer can jump to conclusions real quick and give the answers required. However, these very templates also need to be tricky while being specific.You may see Satisfaction Survey Template. 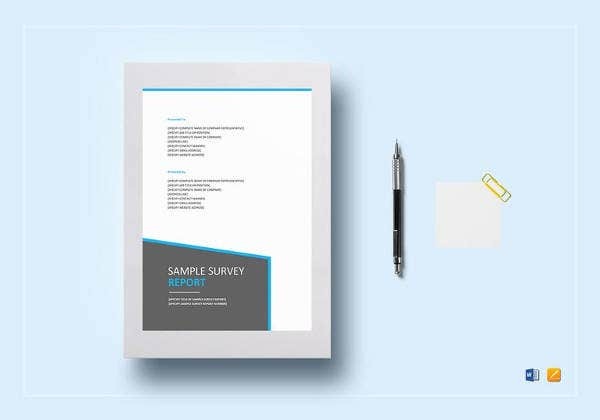 The tricky part of the forms can get you easy access to sensitive information that the Survey Template would not otherwise give in.The customer satisfaction survey samples on this site have been designed taking these things in consideration and are just about perfect. 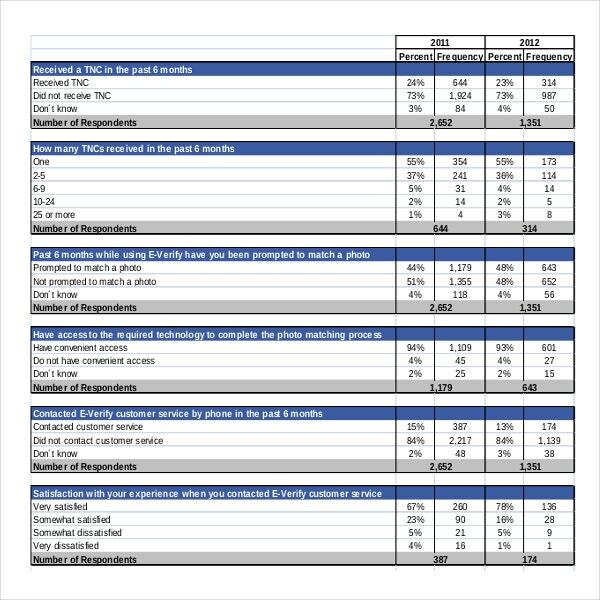 The customer satisfaction survey templates vary based on the industry and its services. A retail store can have questionnaire like price of the items, arrangement of the items, varieties of the items, store staff cooperation and finally billing and delivery promptness. 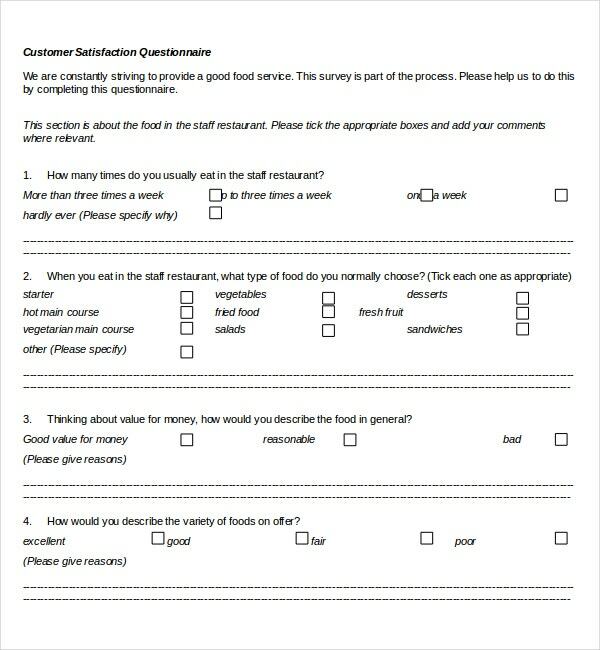 A restaurant can have questionnaire about the quality of food items, promptness of bearers and restaurant ambience. 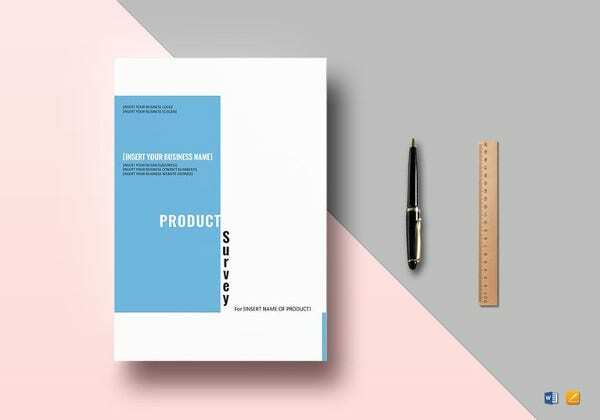 An industry which has launched a new product can have questionnaire about satisfaction about the product, ease of use, any improvements to the product etc. 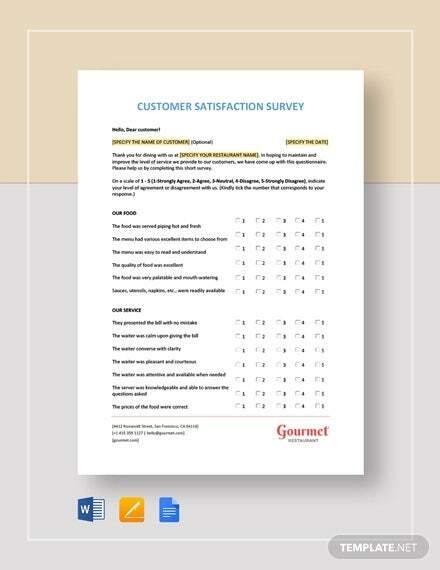 In view of plenty of customer satisfaction survey templates availability one normally gets confused over its selection. The templates are generally available in MS word, MS excel and PDF formats and one can select which format is most suited to them. 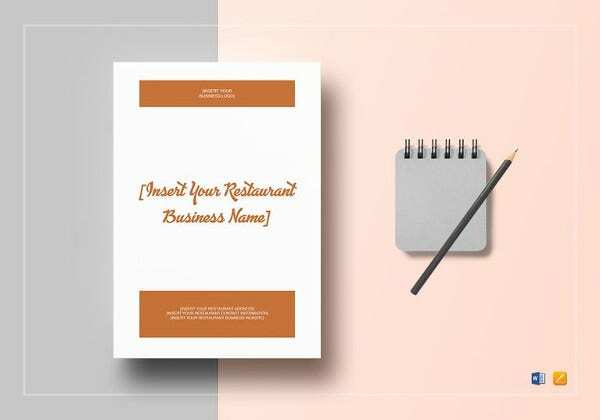 There are many customizable templates available and one can use them by making small changes and including company logo on the template. 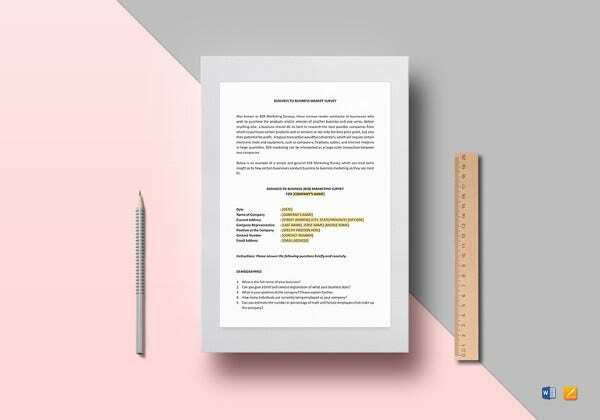 There are many online templates available and one can use them online and check the preview of the templates as well. The worthy of a product is best judged by the customer and his level of satisfaction. For this the template should be built in such a way that it satisfies the purpose of creating it. 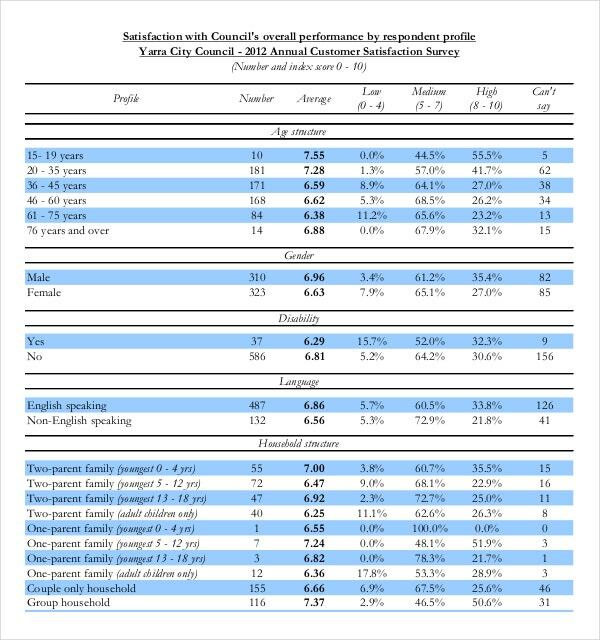 In the first place a meaningful title is vital for the survey so one should come with a good title. Identifying questionnaire is also very crucial and the questionnaire should be relevant to the industry or service. They should be precise, limited and easy to answer and must not confuse the customer. 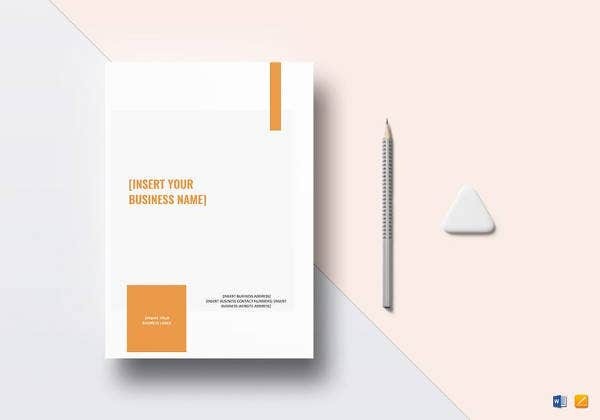 One of the methods to get customer opinion is to send the printed templates to the customers and get feedback from them. Another method is to make the executives to visit the customer places and get their valuable opinion. 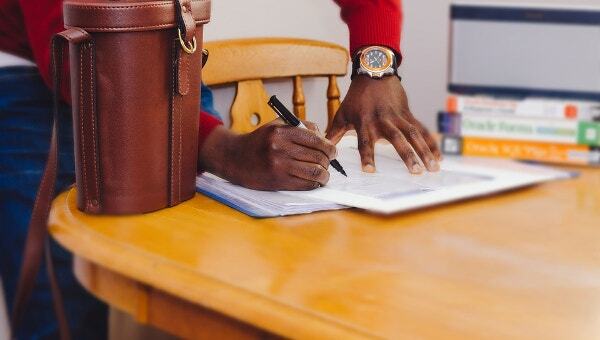 The latest trend of getting customer opinion is either through email or from the company websites, which is very convenient and saves both time as well as money. 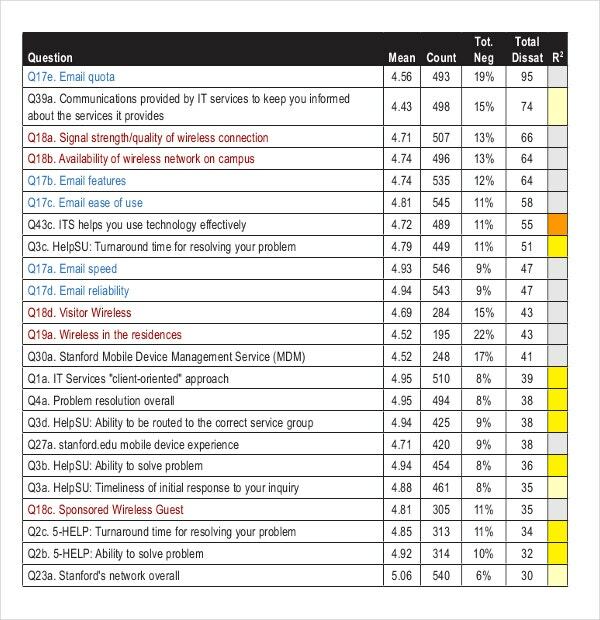 Some organizations hold free service camps for their product and at these centers they can get customer satisfaction report too. By performing a customer satisfaction survey, the customer gets engaged with the organization through one’s product or service. This will certainly help in getting repeated business from the same customer or the chances of the satisfied customer will promote the products to his friends or relatives. To hold a customer is very important and one knows very well it is very tough to finding a new customer in the present world of completion. 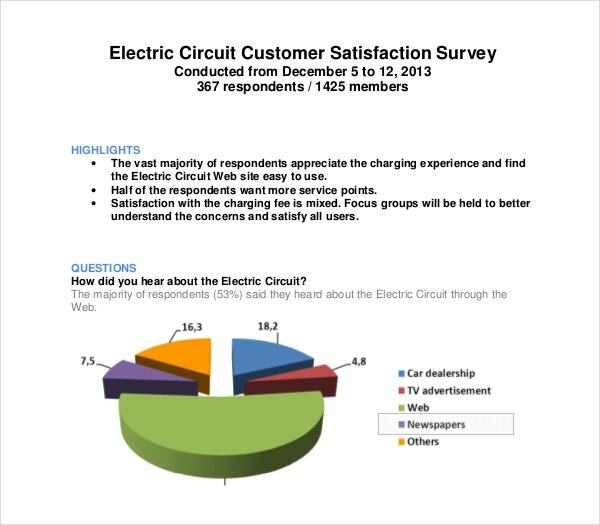 A genuine survey will help to know about the performance of the product and trends in the marketplace. 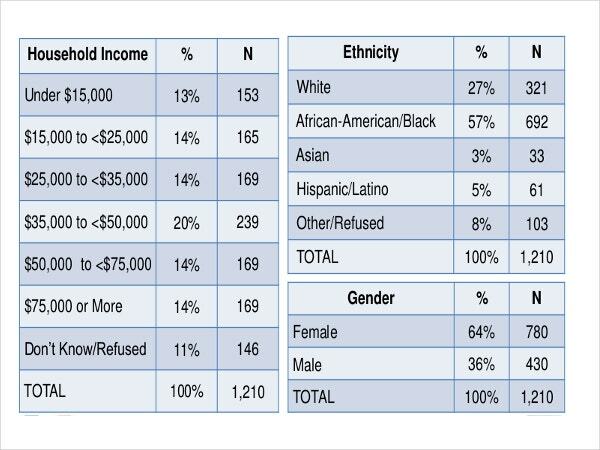 If the organization finds any shortcomings based on the survey, it helps to analyze the issue and rectify the same. 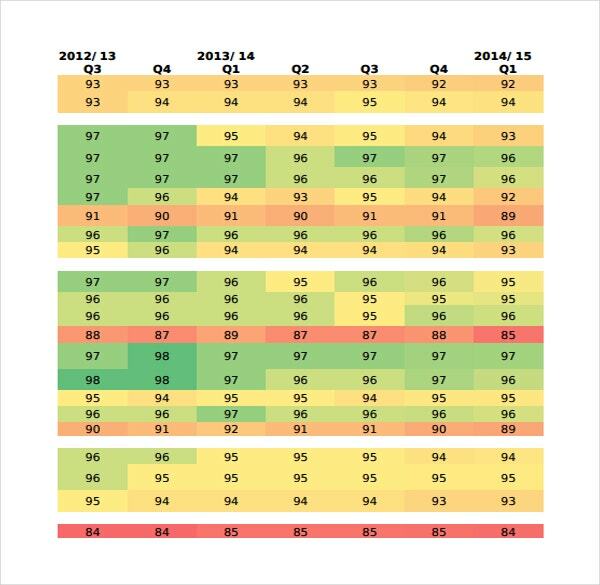 Finding the gap and narrowing it are essential. For example if the issues are related to delivery of the product or service during warranty period can be addressed immediately. In some organizations the service personnel do a good job but indifferent customer care executives can ruin the prospects of the organizations. These kinds of minor defects can be found through surveys and fixed.